It is, of course, commonplace for corporations to operate sophisticated identity programmes. But identity has now moved way beyond the commercial area. We live in a world in which cities, charities, universities, clubs - in fact any activity that involves more than two or three people - all seem to have identities too. However, very few of these organizations have released the full potential that effective management of identity can achieve. In this book, the worlds leading authority on corporate identity shows how managing identity can create and sustain behavioural change in an organization as well as achieving the more traditional outcome of influencing its external audiences. The New Guide to Identity provides a simple clear guide to identity, including what it is and how it can be used to full effect. If a change of identity is required, the whole process is described from start-up (including investigation and analysis of the current identity), through developing the new identity structure, to implementation and launch. 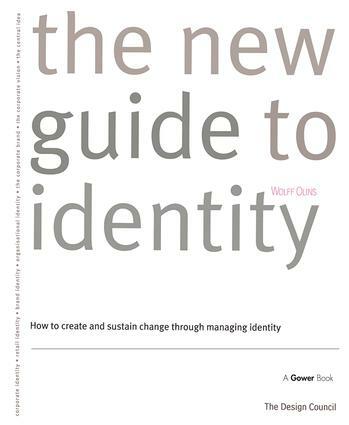 For anyone responsible for the identity of an organization, or for designing it for someone else, or attempting to achieve change in their organization, or studying the subject, this straightforward guide is essential reading.